Homeschooling may not be the right path for every family for a panoply of reasons, but just as parents spend a lot of time contemplating and researching the public and private school options available to them, homeschooling should be another reasonable education choice for families to consider. There are two hurdles, I think, that parents need to get past to truly understand and fully consider the homeschooling option: the personal and the practical. On the personal side, I find parents don’t give themselves enough credit. They are often too hard on themselves. Parents don’t need to be superstars, with limitless patience, boundless energy, and masterful creativity to help their children learn. They have been continuously engaged in the important process of teaching and learning with their children, and homeschooling becomes an extension of this natural learning process. 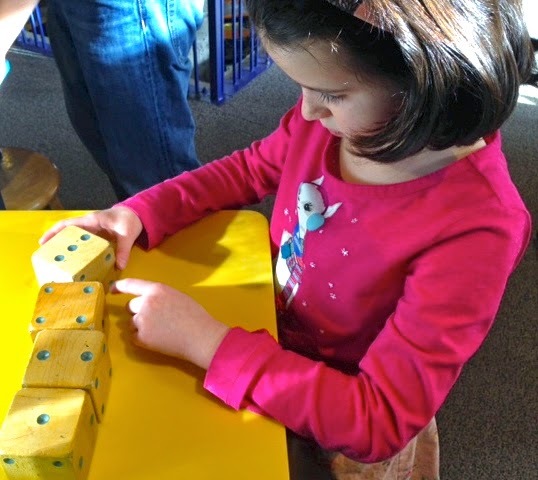 Homeschooling provides time and space for children to explore and uncover their own interests and talents. It strengthens family and sibling bonds, positioning family at the center of a child’s life and learning, while also encouraging children to become vital members of their community through civic activities, community classes and local events. Homeschooling helps to slow down the increasingly frenetic pace of American childhood, helping families to simplify schedules and foster an environment of natural family learning. On the practical side, there are many resources now available to homeschoolers that help to craft a homeschooling approach that is right for each family. Many homeschoolers purchase level-specific curriculum packages to provide structure to learning. Homeschoolers may hire tutors, participate in community classes or lessons, take advantage of online learning programs, use community college courses and a host of other learning resources to define or augment their homeschooling approach. Some homeschoolers use an “eclectic” approach to learning, perhaps using structured curriculum for certain learning areas but not for others. An increasingly growing number of homeschoolers, ourselves included, are “unschoolers,” or those who don’t follow any prescribed curriculum but instead follow our children’s lead when deciding when and what to learn. Given the wide variety of homeschooling approaches, it is not surprising that all kinds of families find ways to make homeschooling work, including families with single parents and those with two working parents. Creative scheduling, community classes, formal or informal homeschooling co-ops, community resource centers, and help from others can make homeschooling accessible to many families who wish to choose this educational option. So, of course you can homeschool! In the end, homeschooling may not be right for every family, but for families who are interested in exploring this educational option, along with private and public school offerings, there are many personal and practical ways to make homeschooling work for any family that wants to give it a try. Kerry McDonald, M.Ed., lives and learns in Cambridge, Mass., with her husband and four never-been-schooled children. She has a Bachelor’s degree in Economics and Environmental Studies from Bowdoin College and a Master’s degree in Education Policy from Harvard University, and has spent nearly two decades deeply involved in education policy and practice. 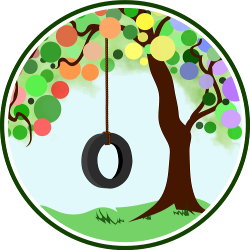 Kerry blogs about natural learning, natural parenting, and natural living at City Kids Homeschooling. She can be reached at kmcdonald@citykidshomeschooling.com. We’ve gotten the same sort of disbelief/envy when we say we work from home — I know other people can do it if they want to and are motivated, though I can totally understand why people might not choose to. Sometimes, though, I think people don’t really ask themselves what’s holding them back. I so wish that my husband believed this way. I am going to have to do some more talking with my inlaws and get my father in law to talk to my husband, his son, about how awesome it would be to homeschool our children. It’s awesome that I have the support of my parents and his. But it would be even better if my husband was led to believe that testing kids every 3 to 4 months to see what they know and what they have learned, isn’t the answer. Thank you for this. I shared it all over social media, and I am saving it for my husband to read when he jumps on board! My son just turned 3, and I have been interested in homeschooling him from the start. I know I personally didn’t get much out of my public school education; when I think back to it, I realize how much time I spent learning facts in order to do well on tests, and then promptly forgetting those same facts to make room for the next subject. I did well in school, but I didn’t really learn that much in the long term. I want my son to get more out of school than that, and I want him to retain the love of learning that I already see blooming in him. Plus, as a military family, I feel that homeschooling just makes so much more sense; no worrying about him being behind or ahead when starting in a new school. Unschooling really appeals to me too, although it’s admittedly very hard to get away from that traditional school mindset. I think we’ll end up doing more traditional curriculum-based schooling in the early years (especially with learning to read, basic math, etc. ), and as he gets older we’ll be able to let him follow his own interests more and more. This is a great starting point for those thinking of homeschooling. Thanks.